"As far as I'm concerned there isn't anyone who shouldn't read Drop the Ball." Once the poster girl for doing it all, after she had her first child, Tiffany Dufu, a renowned voice in the women’s leadership movement, struggled to accomplish everything she thought she needed to in order to succeed. Like so many driven and talented women who have been brought up to believe that to have it all, they must do it all, Tiffany began to feel that achieving her career and personal goals was an impossibility. Eventually, she discovered the solution: letting go. 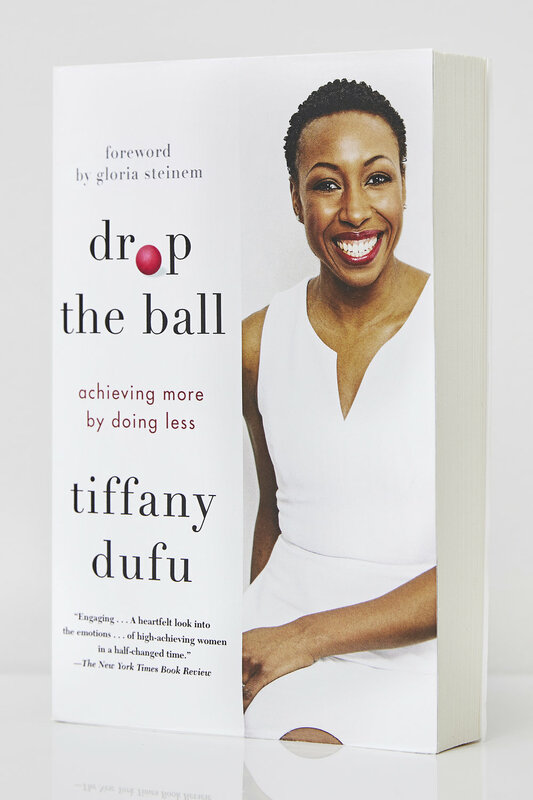 In Drop the Ball, Tiffany recounts how she learned to reevaluate expectations, shrink her to-do list, and meaningfully engage the assistance of others—freeing the space she needed to flourish at work and to develop deeper, more meaningful relationships at home. Packed with actionable advice, Drop the Ball urges women to embrace imperfection, to expect less of themselves and more from others—only then can they focus on what they truly care about, devote the necessary energy to achieving their real goals, and create the type of rich, rewarding life we all desire.